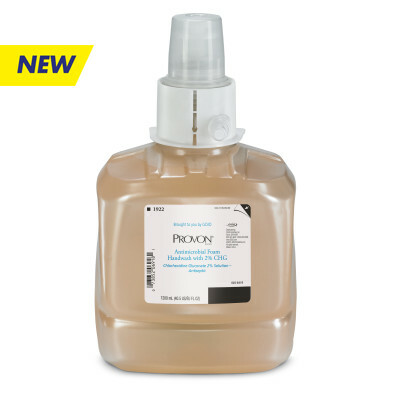 PROVON® products offer a full line of foaming hand soaps, shower and body washes and perineal products to suit all your hygiene needs. From the exam room to the nurse’s station, we’ve developed formulations that not only clean hands effectively, they also care for your skin – even after multiple uses. When offering hand hygiene solutions for your facility, PROVON products can help you provide an atmosphere of well-being for your patients and staff. Foam soap dispenser for behavioral health environments. Foam soap dispenser for behavioral health environments with a time-delayed output. Compact soap or lotion dispenser for healthcare. High-capacity lotion soap dispenser for healthcare. Deep conditioning, fragrance-free moisturizer that conditions dry, irritated skin. Touch-free foam soap dispenser for healthcare. Touch-free antimicrobial foal soap dispenser for healthcare.